The UK Singles Chart is the official record chart in the United Kingdom. Until 1983, it was compiled weekly by the British Market Research Bureau (BMRB) on behalf of the British record industry with a two-week break each Christmas. The BMRB used motorcycle couriers to collect the sales figures taken up to the close of trade on Saturday. This data was compiled on Monday and given to the BBC on Tuesday to be announced on BBC Radio 1 at lunchtime and later published in Music Week. On 4 January 1983, the chart was taken over by Gallup who expanded the chart from the Top 75 to the Top 100 and began the introduction of computerised tills which automated the data collection process. The chart was based entirely on sales of physical singles from retail outlets and announced on Tuesday until October 1987, when the Top 40 was revealed each Sunday, due to the new automated process. During the 1980s there were a total of 191 singles which took the UK chart number 1 spot. In terms of number-one singles, Madonna was the most successful single act of the decade, as six of her singles reached the top spot. George Michael had significant involvement with eight number-one singles; with two number-one singles as a solo artist, four as a member of pop duo Wham!, one as a duet with Aretha Franklin and one as a member of charity supergroup Band Aid. The longest duration of a single at number one was nine weeks, achieved by Frankie Goes to Hollywood's "Two Tribes" in 1984. The best-selling single of the decade was "Do They Know It's Christmas?" by Band Aid, selling over 3.5 million copies, and passing "Mull of Kintyre" by Wings to become the best-selling single ever. "Do They Know It's Christmas?" is currently the second best-selling song after "Candle in the Wind 1997" by Elton John. The 1980s saw the introduction of the cassette single (or "cassingle") alongside the 7-inch and 12-inch record formats and in 1987 major record labels developed a common format for the CD single. For the chart week ending 3 May 1989, chart regulations confined Kylie Minogue's song "Hand on Your Heart" to number two. Minogue would have reached number one if sales from cassette singles were included but they were sold for £1.99 – cheaper than was allowed at the time. Following the debacle the British Phonographic Industry reduced the minimum price for cassette singles to become eligible towards sales figures. The Jam managed four number ones during the 1980s, two in 1980 and two in 1982. In 1980, ABBA had two number ones and their last being Super Trouper. John Lennon was murdered in 1980 and his song, "Imagine", reached number one posthumously. 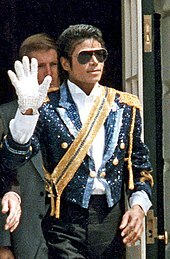 During the 1980s, Michael Jackson had number-one singles with "One Day in Your Life", "Billie Jean" and "I Just Can't Stop Loving You". During the 1980s, Culture Club had two number ones, including the best-selling single of 1983, "Karma Chameleon". George Michael was one of the most successful artists of the 1980s, with two number-one singles as a solo artist, four with Wham! and one as a duet with Aretha Franklin. 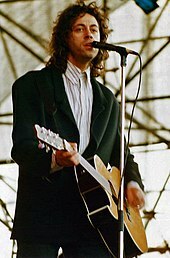 Bob Geldof co-wrote "Do They Know It's Christmas? ", which was the biggest-selling single of the decade. Frankie Goes to Hollywood had three consecutive singles reach number one, of which two, "Relax" and "Two Tribes", sold over one million copies. In 1985, Jennifer Rush was the first solo female to have a single sell over a million copies. The 1980s saw the beginning of Madonna's music career, where she scored six number ones, her first being "Into the Groove" in 1985. 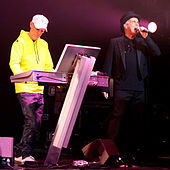 During the 1980s, the Pet Shop Boys gained four number ones, "West End Girls", "It's a Sin", "Always on My Mind" and "Heart". Mel and Kim were the only British girl group to achieve a number one during the 1980s. In 1988, Kylie Minogue went to number one with her debut single "I Should Be So Lucky", and achieved three more number ones, including as a part of Band Aid II. Billy Bragg and Cara Tivey "With a Little Help from My Friends"
American entertainer Madonna was the most successful act of the decade in terms of number-one singles. She had six number ones: "Into the Groove" (1985); "Papa Don't Preach", "True Blue" (both 1986); "La Isla Bonita", "Who's That Girl" (both 1987); and "Like a Prayer" (1989). 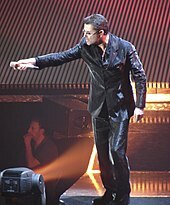 George Michael had significant involvement with seven number-one singles; he was also involved with Band Aid single "Do They Know It's Christmas?" but his contribution was less significant. He had two number-one singles as a solo artist, four as a member of pop duo Wham!, and one as a duet with Aretha Franklin. The following artists achieved three or more number-one hits during the 1980s. Additionally, Adam Ant and Boy George each had one solo number one hit and two number one hits as lead singers of bands (Adam and the Ants and Culture Club respectively) totalling three number one hits each. The British Phonographic Industry classified singles and albums since 1973 by the number of units sold, with the highest threshold being a "platinum record". Before 1989, a platinum record was given to singles that sold over 1,000,000 units, a gold record for 500,000 unit sales and a silver record for 250,000. For singles released after 1 January 1989, the number of sales required to qualify for platinum, gold and silver records was dropped to 600,000 units (platinum), 400,000 units (gold) and 200,000 units (silver). Fifteen records were classified platinum in the 1980s. These include two songs from the 1970s that were classified platinum in the 1980s: Slade's "Merry Xmas Everybody", released in 1973, re-entered the charts and was classified platinum in 1980 and sold over one million copies in 1985. Pink Floyd's 1979 release "Another Brick in the Wall (Part II)" was classified platinum at the beginning of 1980 and, although certified as selling 0.995 million units, is believed to have surpassed a million copies in the 1980s when sales not "over-the-counter" are included. In the 1980s, twelve songs were released that were classified platinum in the decade; eleven of these also sold one million units in that time. The double A-side, "Last Christmas" / "Everything She Wants" by Wham!, is notable for being the only million-selling single of the decade not to reach number one due to Band Aid's "Do They Know It's Christmas?" being released at the same time. In addition, a new version of "Do They Know It's Christmas?" by Band Aid II was released in December 1989 and was classified platinum in 1990 and John Lennon's "Imagine" (originally released in 1975), reached number one in 1981 following his death and sold over a million copies. Twelve other songs originally released in the 1980s have since sold one million units, eleven of them following the introduction of music downloads in 2004. The other song released in the 1980s to sell a million copies is "Blue Monday" by New Order which charted in several years during the 80s, but was not listed as a million seller until later. [No. 2]: The singles "Last Christmas", "Ghostbusters" and "Fairytale of New York" peaked at number two in the UK singles chart. [No. 3]: "Blue Monday" was originally released as a 12" single in 1983, where it peaked at number 9 in the UK Singles Chart. It was re-released in 7" format in 1988 as "Blue Monday 1988" where it reached a higher peak of number 3. It has also been re-released on other occasions, most notably 1995. New Order's label, Factory Records, were not a member of the British Phonographic Industry (BPI) so they never received any sales certifications. However, "Blue Monday" sold more than one million units through combined sales total. [No. 62]: "Don't Stop Believin'" originally peaked in the UK at number 62 in 1982, but reached number 6 in 2010 following performances on The X Factor. ^ a b c d The artist, song name, week-ending date of number-one and consecutive number of weeks at the top are those given by The Official Charts Company. The dates are those for the Saturday after publication. The actual sales week represented is that up to and including the previous Saturday (i.e. from 13 to 7 days prior to the chart date). ^ This number-one record was not a single but a five-track extended play (EP) with "Too Much Too Young" as the lead track. The rules now require at most four distinct songs to be eligible for the UK Singles Chart. Although the EP is credited to The Special A.K.A. on the record sleeve the record label credits The Specials. ^ "Jack Your Body" was released on a 12" single that was over 25 minutes long, exceededing the maximum time for a record to be classified as a single. The track should have been classified as an album instead (as it was in NME) and, during the two weeks it spent at number one, "Reet Petite" would have been number one for a fifth week and "I Knew You Were Waiting (For Me)" would have become number one a week earlier. ^ a b c Smith, Alan. "50s & 60s UK Charts – The Truth!". Dave McAleer's website. Archived from the original on 3 September 2011. Retrieved 4 November 2010. ^ a b "Key Dates in the History of the Official UK Charts". The Official Charts Company. Archived from the original on 10 January 2008. Retrieved 16 May 2010. ^ Roberts, David (2005). Guinness World Records: British Hit Singles and Albums (18th edition). Guinness World Records Limited. p. 14. ISBN 1-904994-00-8. ^ "Project Retro: Every music track which featured in the UK Top 40 singles chart during the 1980s". Archived from the original on 4 March 2016. Retrieved 4 January 2015. ^ "Project Retro: Every music track which featured in the UK Top 40 singles chart during the 1980s". Archived from the original on 4 March 2016. Retrieved 10 January 2015. ^ Leadbetter, Russell (17 May 2010). "Macca proves he's no sellout". The Herald. Retrieved 31 May 2010. ^ Lakhani, Nina (7 February 2010). "Charity & the charts: The hits and the misses". The Independent. Retrieved 2 July 2010. ^ Pareles, Jon (2 September 1987). "Cassette Singles: New 45's". The New York Times. p. 21. Retrieved 22 July 2010. ^ Jones, Alan (6 May 1989). "This Week's Charts Analysed" (PDF). Record Mirror: 48. ^ a b "Singing from beyond the grave". BBC News. 12 October 2009. Retrieved 5 August 2010. ^ a b "Chart Archive - 1980s Singles". everyHit.com. Retrieved 22 July 2010. ^ "All the Number One Singles: 1980". The Official Charts Company. Archived from the original on 11 July 2012. Retrieved 13 June 2010. ^ "All the Number One Singles: 1981". The Official Charts Company. Archived from the original on 1 June 2010. Retrieved 13 June 2010. ^ "All the Number One Singles: 1982". The Official Charts Company. Archived from the original on 15 June 2011. Retrieved 13 June 2010. ^ "All the Number One Singles: 1983". The Official Charts Company. Archived from the original on 3 June 2010. Retrieved 13 June 2010. ^ "All the Number One Singles: 1984". The Official Charts Company. Archived from the original on 4 September 2013. Retrieved 13 June 2010. ^ "All the Number One Singles: 1985". The Official Charts Company. Archived from the original on 1 June 2010. Retrieved 13 June 2010. ^ "All the Number One Singles: 1986". The Official Charts Company. Archived from the original on 1 June 2010. Retrieved 13 June 2010. ^ "All the Number One Singles: 1987". The Official Charts Company. Archived from the original on 1 June 2010. Retrieved 13 June 2010. ^ "All the Number One Singles: 1988". The Official Charts Company. Archived from the original on 5 July 2010. Retrieved 13 June 2010. ^ "All the Number One Singles: 1989". The Official Charts Company. Archived from the original on 5 July 2010. Retrieved 13 June 2010. ^ "Too Much Too Young". The Specials. Archived from the original on 27 April 2009. Retrieved 1 July 2010. ^ "Rules For Chart Eligibility" (PDF). The Official Charts Company. August 2009. Archived from the original (PDF) on 18 August 2011. Retrieved 1 July 2010. ^ "Record Details – The Special A.K.A. Live!". 45cat. Retrieved 1 July 2010. ^ "Record-Breakers and Trivia: Quirks Of The Number One Position". everyHit.com. Retrieved 2 July 2010. ^ a b Gallup (4 February 1989). "The Top of the Pops Chart" (PDF). Record Mirror: 4. Retrieved 16 July 2010. ^ "Certified Awards". British Phonographic Industry. Retrieved 7 June 2010. ^ "International Certification Award levels" (PDF). International Federation of the Phonographic Industry. March 2010. p. 7. Archived from the original (PDF) on 26 July 2011. Retrieved 7 June 2010. ^ "Certified Awards Search". British Phonographic Industry. Archived from the original on 26 August 2011. Retrieved 7 June 2010. Customise search with the following settings – Search by: "Keyword", By Award: "Platinum", By Format: "Single" – then search by each individual year. ^ a b c "Stats and Facts: Million Sellers". The Official Charts Company. Archived from the original on 16 April 2008. Retrieved 19 July 2010. ^ "Million-Selling Singles". everyHit. Retrieved 12 June 2010. ^ "Sold on Song: Last Christmas". BBC Radio 2. April 2005. Retrieved 1 July 2010. ^ Jones, Alan (25 December 2011). "Christmas Singles Chart analysis: Military Wives run away with it". Music Week. ^ Jones, Alan (1 June 2010). "Pendulum and Black Eyed Peas make historic week for sales charts". Music Week. ^ "Digital generation pushes the oldies into the million-sellers club". Music Week. 6 September 2010. ^ "Billy Joel". Chart Watch. 8 March 2004. Archived from the original on 30 March 2004. Retrieved 13 November 2010. ^ "Black Box". Chart Watch. 8 March 2004. Archived from the original on 24 March 2004. Retrieved 13 November 2010. Davis, Sharon. 80s Chart Toppers: Every Chart-Topper Tells a Story. Edinburgh: Mainstream Publishing, 1999 ISBN 1-85158-838-8, 462p.